In today’s dynamic work landscape, group benefits plans are constantly expanding and innovating to keep up with the evolving workforce, while regulatory changes in the health insurance industry are having a ripple effect on all moving parts. This is placing more pressure than ever on group benefits administrators to maintain accuracy and compliance, but how? 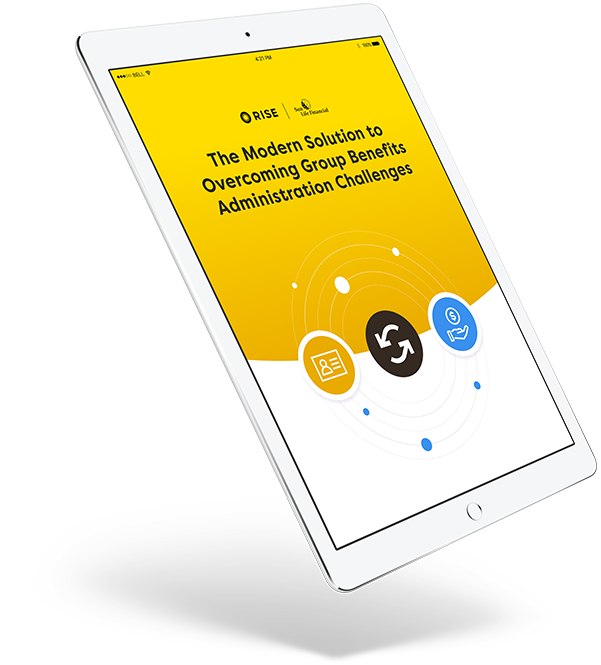 Download this free guide to learn how digital group benefits administration solutions are improving the complex workflow between HR, group benefits, and payroll systems. Discover how a truly all-in-one experience from a single source solution can improve accuracy and eliminate the administrative struggle of handling data from disparate systems. Learn how introducing employee self-enrolment in group benefits plans virtually eliminates paperwork and significantly reduces time and stress on administrators. Find out why auditing and handling manual reconciliations is no longer required to avoid costly discrepancies between your health insurance bill and payroll.